If you have kids at home, then it is very hard to keep your floor and carpets clean all the time. Babies loiter around on the floor most of the time, and a hygienic carpet or rug can cause serious harm. It is essential to keep these things clean all the time for the sake of your baby. Carpets and rugs are pretty hard and string; due to which they are difficult to clean and dry, and they take a long time to wash. The best way to clean rugs and carpets is the process of dry cleaning; although the dry cleaning takes a pretty long time, it takes lesser time than the normal cleaning process. The clean carpets are not only visually satisfying, but they remain beautiful for a much longer period and are safe for the young kids. Dry cleaning has become a crucial part of our life nowadays; it provides several facilities that we do not get from the normal cleaning. 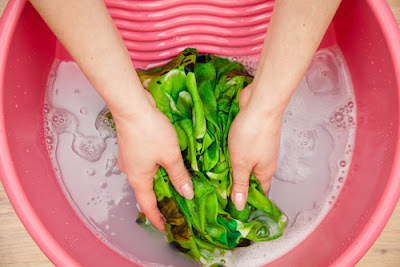 Normal cleaning using soap or detergent and water is easier, but they cannot clean the garments completely. It takes much less time, costs very little and can be done in the washing machines. Dry cleaning is done by hands only, and the process takes longer time, but the process is safe, and the dry cleaning companies return the garments as good as new. Besides cleaning the rugs and carpets by this process, people also clean their favorite and delicate clothes by this process. Soft and delicate fabric garments can easily lose their smooth feeling and color if washed by the string detergents and water in the washing machines. But, if these garments are cleaned using the dry cleaning the methods, then they can stay as good as new for years. Many people wash their wedding dresses by this process so that the memorable dress stays well for a long time. Dry cleaning also serves well for the cleaning the school uniform of the kids. Kids often return home with ink patches on their shirts. These patches are quite tough to clean within single night's time by the normal washing procedure, and this process cannot clean the ink patches completely. Dry cleaning works great for cleaning the ink stains from the shirts. The process of dry cleaning the ink patches from the shirt is quite easy and can be done by an hour or so. For this process, you need the dry cleaning solvent and most importantly the ink remover; along with this, you should also have paper tissues, cotton swabs, etc. Proper application of the liquids can clean the shirts completely, and your kid can use the shirt again the next day. While there are many methods of cleaning your clothes, ever wondered why people still choose to go for dry cleaning? Is it simply to remove harsh and stubborn stains? Truth be told, professional dry cleaning goes well above and beyond the conventional "stain removal." Are you willing to allocate a good portion of your paycheck on new clothes every month? Because if you continue subjecting it to harsh chemicals through conventional washing, chances are they're not going to last you very long! Go for the practical and proven dry cleaning technology that protects your clothing, so you get to wear them longer. It might be a surprise, but when it comes to winning the war of stain removal, dry cleaning reins the supreme winner. Hands down! Stubborn stains such as grease, oil, food are easily dissolved during dry cleaning, as opposed to washing. Dry cleaning uses special organic compounds for the cleaning of clothes. With their expert knowledge, they can not only preserve the brightness but also salvage a dull article of clothing by restoring its luminosity and transforming it to appear new! On a laundry day, how often have you taken your attires out of the washer only to find one, 2 sizes too short? 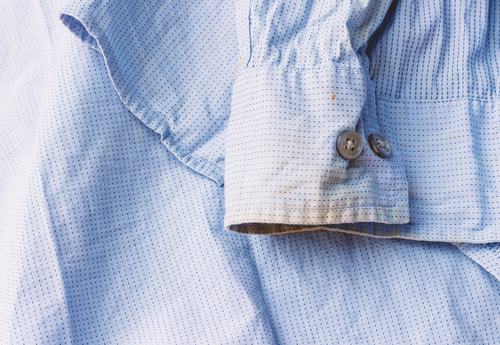 There goes your favorite formal shirt! Let's face it. Clothes don't come cheap. Fabrics such as silk and wool have a tendency to shrink during conventional washing. Furthermore, there is a risk of dullness and texture change. On the flipside, these garments retain their original condition when dry-cleaned. That's right. Where at one point in time, your dry cleaning was associated with tedious and time consuming trips to the dry cleaners, you can now take advantage of professional dry cleaning pickup and delivery. Furthermore, they offer the most competitive pricing! 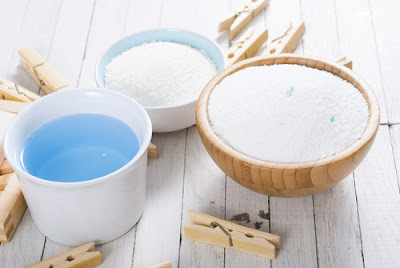 You have to understand that this process includes the use of an organic solvent which does not act as a laundry detergent and even does not use water. By doing so, it helps in maintaining the stuff/ material of the clothes which react with friction or water. A wide variety of clothes like dresses, suits require the sensitive wash to maintain the quality, and that is the reason why dry cleaning has become a critical need for some people. Note that, this activity facilitates the extension of the lifespan of any garment that comes with it, and the solvents which are used during the process are specifically made that the fabric neither fade nor shrink. Remember one thing; clothes may have the tendency to get damaged little bit when they come under this process, but with the high-quality solvent and equipment, clothes will be less expected to get damaged. When the clothes get cleaned, then dry- cleaners pack all the washed clothes in a bag to provide the delivery in a safe manner. Therefore, to remove the tough stains without affecting the fabric, dry cleaning has become the preferred choice of many people. So, if you require the best dry cleaning service in Singapore.